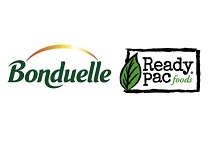 Bonduelle, the leading global vegetable firm, has announced that it has executed an agreement to acquire Ready Pac Foods, the US market leader in single serve salad bowls. Based in California, Ready Pac Foods markets the Bistro Bowl line of ready-to-eat salad bowls as well as the Elevate line of “nutritent dense” superfood salads and the Ready Snax line of chilled snack foods. The firm has four production facilities located in Irwindale (CA), Jackson (GA), Florence and Swedesboro (NJ), and employs about 3,500 full-time staff. In a statement, Bonduelle said that the acquisition was “fully compatible with Bonduelle’s strong financial profile” and would “strengthen its leadership positions in its core business lines”. In particular, the firm said the deal would support the development of Bonduelle’s business in the consumer convenience and healthy food segments, as well as reinforcing its footprint in North America, such that, post transaction, it would be equivalent in scale to its geographical portfolio in the European Union. Bonduelle did not disclose the terms of the transaction.